Who says an elastic waistband can't be stylish? Designer waistbands (from top) by Junichi Arai, Peter Cohen, Anne Klein II, and Andra Gabrielle combine looks with comfort. Almost every sewer has a favorite style of elastic waistband or is looking for the perfect one. 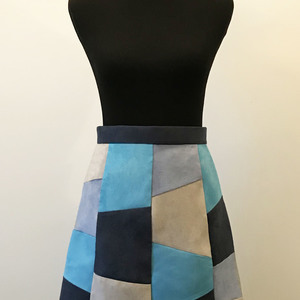 I’ve experimented with various techniques over the years and have found a few I like a lot, but I wanted to find out the favorite waistbands of some of my sewing colleagues. 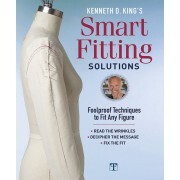 I’ve also discovered some great designer approaches to this that are worth trying in your own garments. All elastic waistbands fall essentially into two categories—those in which the elastic is inserted into a stitched-down casing and those in which the elastic is sewn directly to the fabric. Whichever method you select, the overriding issue is comfort. For me, the narrower the elastic, the less aware I am of something around my waist. But others prefer the firmer feel of a wider elastic. And although most of us wear something over an elastic waistband that hides it, some of the designer techniques I want to share are pretty enough to leave uncovered. 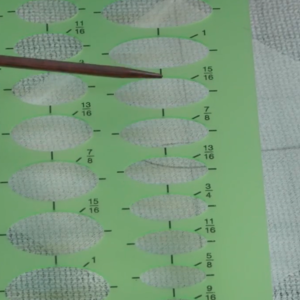 San Francisco sewing luminary Sandra Betzina uses Ban-rol XL-90 super-stretch elastic almost exclusively in her elastic waistbands, choosing a width compatible with her fabric type. This mesh-like elastic, which comes 3/4 inch to 1-1/2 inches wide, is available in white only and is sold by the yard off the roll (see Waistband supplies by mail). She cuts the elastic based on her waist measurement minus 4 in. and feeds it through a casing using a safety pin. 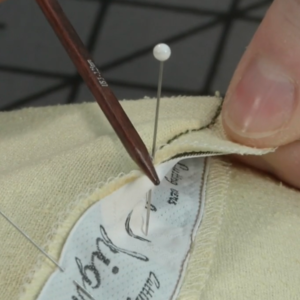 Next, she uses a 75/11HS ballpoint needle to sew several parallel rows of topstitching through the fabric casing and elastic. What looks like separate rows of elastic fed through several casings is actually one complete band that does not roll, crush, or curl. 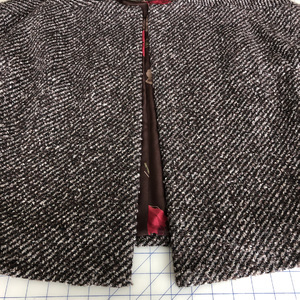 The pull-on waistband that sewing expert Marcy Tilton, of Takilma, Oregon, favors is twist-proof and can be used with knit ribbing, knits cut on the crossgrain, or lightweight wovens cut on the straight or cross grain. 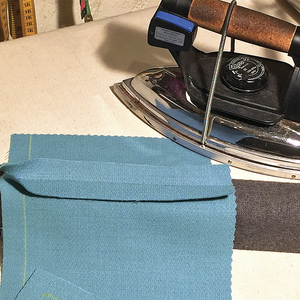 Instead of being a folded-over and stitched-down casing, this separate waistband doesn’t add bulk at the waist, but slips easily over the hips. 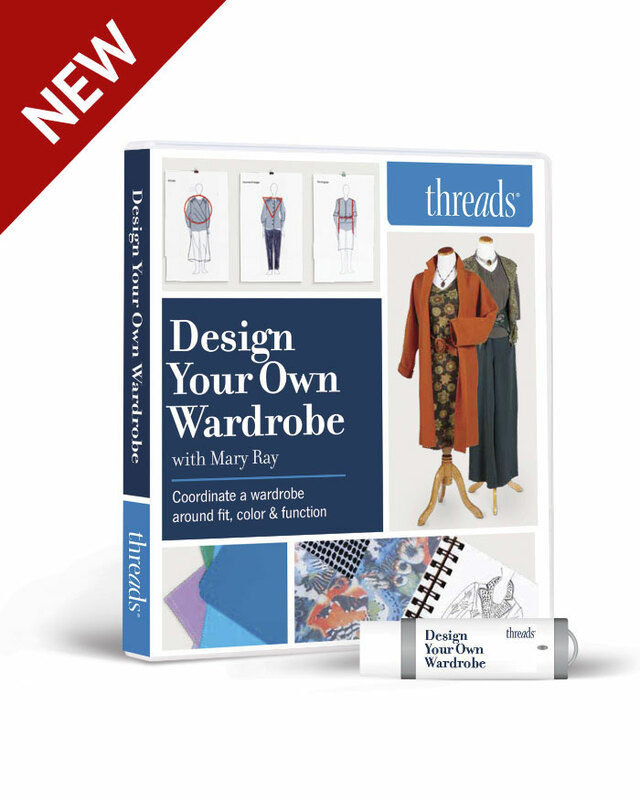 Marcy uses 1-1/4-inch-wide Stretchrite polyester braid elastic or Ban-rol and cuts it 1-1/2-inches to 2-1/2 inches smaller than the waist measurement. 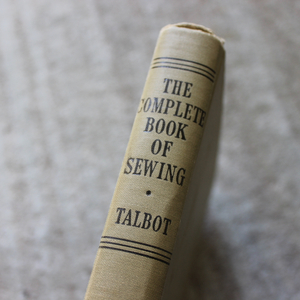 Sometimes, she topstitches several rows through the waistband, stretching as she sews. 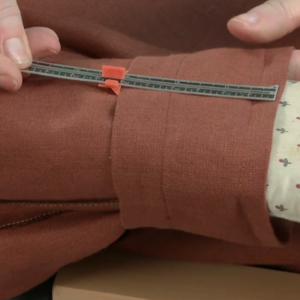 Because topstitching tends to stretch the elastic so the overall finished waist measurement is a little larger, plan ahead and fit the elastic more snugly, or about 1-1/2 inches smaller than your waist. 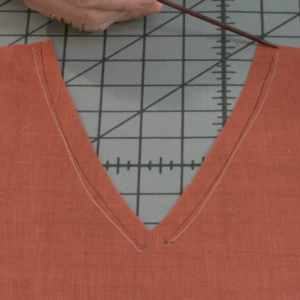 Sewing teacher and designer Lyla Messinger, of LJ Designs in Reno, Nevada, uses another favorite sew-through method, which gives the stitched look found in popular ready-to-wear. Lyla uses 1-1/4-inches. Sew-through elastic from the garment industry that “recovers” after it has been stitched through. 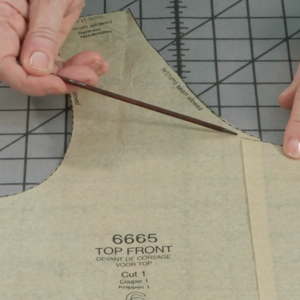 She recommends cutting the elastic from 2 inches to 7 inches smaller than your waist measurement (4 inches is a good starting point), then attaching it to the garment. Nowadays, I don’t like to feel anything around my waist, so I use a simple casing method with no topstitching and with narrow elastic. I cut 1/2-inch-wide Stretchrite nonroll elastic 5 in. smaller than my waist measurement and feed it through the casing. Whether you like narrow or wider elastic, the no-roll variety, no matter what width, lives up to its name. And as far as I’m concerned, the bodkin is the only tool to use to feed the elastic through the casing (see Waistband supplies by mail). It’s always fun to see what designers are doing to make their garments a cut above average ready- to-wear. Even something as simple as an elastic waistband often gets special treatment in their hands. 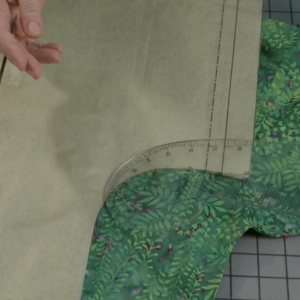 Noted Japanese fashion and textile designer Junichi Arai developed a waistband for his loose-fitting gardener-style pants that uses three casings, with the center one left empty. As a result, these pants are extremely comfortable because you don’t notice the 1/4-inch polyester braid elastic used in the top and bottom rows around your waist. And the empty center casing prevents the complete waistband from rolling over. This is a waistband that just relaxes and fits whatever your waist shape is. Los Angeles designer Peter Cohen specializes in clean-lined gossamer-weight clothing often using double-layer chiffon or silk. To add to the beauty of his details on pull-on pants and skirts, he generally uses buttery soft silk charmeuse as the casing. 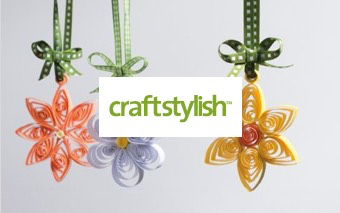 As an interesting alternative to silk charmeuse, you can use silk satin ribbon for the casing. This ribbon is available in several widths and colors and is not as fussy to work with as the charmeuse because both edges are finished. Ban-rol works well in this casing. From the design firm Anne Klein II comes a technique that combines 1/2-inch nonroll elastic with a drawstring for a waistband on a pair of pants that’s comfortable and attractive. In this method, a 2-1/4-inch turndown at the waist is divided into two 3/4-inch casings. The top casing, left empty, forms a lettuce heading. The bottom casing is filled in back with elastic that extends 4 inches beyond each side seam and attaches to fabric tubes that serve as drawstrings that tie at the front waist. The most exquisite elastic waistband treatment I’ve ever seen comes from New York designer Andra Gabrielle, who specializes in delicate silk crepe and chiffon lingerie. For her pajama bottoms, she stitches delicate silk ribbon over 1/2-inch polyester braid elastic in the casing, which produces a ruffled effect and keeps the elastic from twisting. The construction of this delicate waistband takes lots of practice to perfect even for expert sewers, but the results are stunning. You can use various widths of silk ribbon, but the 7-mm width is the easiest to work with when first trying this technique. 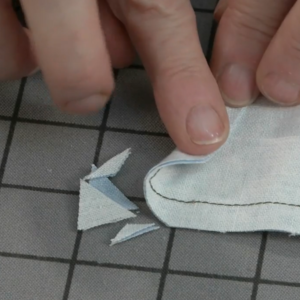 Adjust the width and length of the serpentine stitch on your sewing machine to correspond to the width of the ribbon, and keep the stitching from straying over the ribbon’s edges. Because elastic waistbands are great for comfort and you now have a number of techniques to choose from, why not try them all? You can’t have too many skirts or pants with waistbands that are comfortable and good-looking. 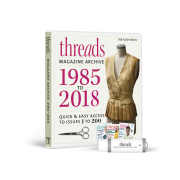 This article by Linda Lee was first published in Threads #83, June/July 1999. 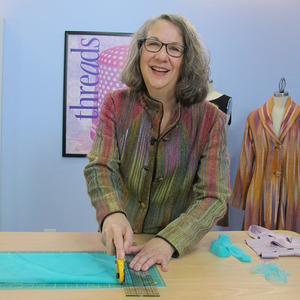 Linda, a contributor to Threads, sews waistbands on her garments in Topeka, Kansas. She is the author of Sewing Edges & Corners (The Taunton Press, 2000) and Scarves to Make (Diane Publishing, 1998). Where can I find waistband elastic that looks good all on its own - no casing! Dee, this elastic is available at Hancock's Fabrics. 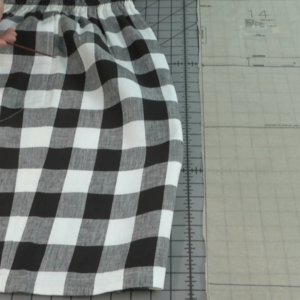 Do you know what stitch to use to sew it on to the skirt waist? Do you use the actual waist measurement? Great article. 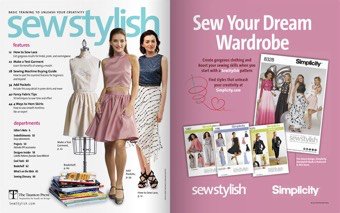 I make a lot of skirts and dresses with elastic waists and the tips should be helpful. I'm glad to see that the fashion world is realizing that elastic can be flattering and is really comfortable. I have a lot of nice business type skirts that have a flat front and elastic in the back. I like to tuck my blouses in so you get that tailored look in the front and that nice firm but gentle ease of the wide elastic in back. The fashion police may frown upon such things, but it is comfy and I wear nice silk blouses and heels and I think it looks nice. I think the gathering in the back softens the look. Frumpy or not, I am comfy. While you won't see me wearing pull on mom jeans or granny pants anytime soon, I am not ashamed to say I am a fan of elastic. I was reminded of this link the other day when I was looking through some older clothes and found my favorite blue and white polka dot from the 90s that I hadn't worn in years. I think I am going to get it cleaned and wear it again. I tried it on and instantly remembered why I loved that dress so much. It is actually more of a wide leg jumpsuit but the mid calf length and look of a fuller skirt longer skirt. It looks like a white blouse and jumper but is actually one piece, and it has the most soft, feminine wide gathered multistitch elastic backwaist. It is the most comfortable dress ever as any of you ladies who had a similar dress will recall. I like the feel of comfortable feel of skirts and this feels like a skirt but even more comfortable. The feel of those full fluttery culotte legs combined with the nice silky fabric and the cozy firm but gentle back elastic hugging the waist is pure bliss. You feel so feminine and pampered in this dress. I hadn't worn it since before I met my husband so I tried it on for him and he said it was adorable, as did my 14 year old daughter who called it vintage chic. It will be nice for church because I teach Sunday school to toddlers so I do a lot of moving around, kneeling, playing, etc. so the split skirt makes all that easier. I wish I could sew a nice smocked elastic back waist that could be worn uncovered. I would like to make a dress or a jumper dress like that. I'm bringing it back. It's good to see the fashion world coming around to softer feminine styles, including elastic waists. We can actually be comfortable and stylish. Yay! 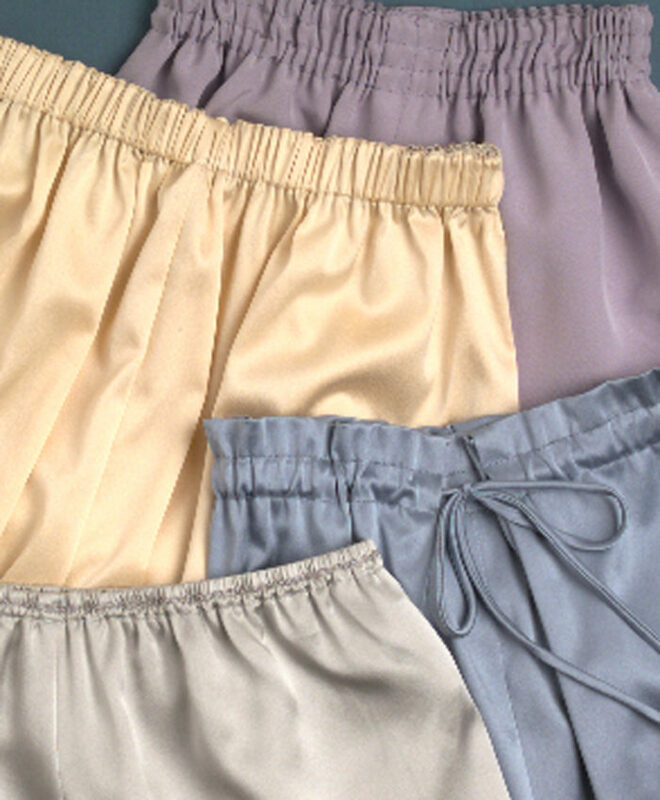 I will be making one of these elastic waists soon in a pair of pajama pants. I like to try new techniques, but I hate to throw anything away, so pajamas are a perfect test for this technique.